Blanche Remington — Earle Remington’s sister. Blanche Remington and her attorney Samuel H. French paid the District Attorney’s office a visit on April 28, 1923. Blanche was terrified. She told District Attorney Thomas Woolwine and Deputy District Attorney Asa Keyes that she was being shadowed by as many as four persons. She had first noticed her stalkers trailing her in an automobile immediately following Earle’s murder. Since then she could feel strange eyes on her no matter where she was. Was Woolwine telling the truth about Blanche’s ignorance of her brother’s bootlegging scheme? Or was he equivocating in the hope that it would prevent her from being targeted by people who might fear her disclosures? Reporters turned up at Blanche’s home at 1365 ½ West Twentieth Street in attempt to get more information, but the frightened woman refused to divulge any details. Three weeks following Blanche’s meeting with the District Attorney, prohibition agents and the Long Beach Police raided a major bootlegging outfit. Eight men were arrested, two of whom were millionaires thanks to the Eighteenth Amendment. The raid resulted in the seizure of 160 cases of whiskey, two trucks, four automobiles and a Japanese fishing launch. The authorities thought they could make a connection between the bootleggers and Earle’s murder. Earle had allegedly conducted business with Claude V. Dudrey, one of the men being held on charges stemming from the raid. Claude didn’t deny his association with Earle. He admitted under questioning that he had attempted to get the lease on a building Earle was preparing to vacate. He also admitted to having sold seven cases of booze to Earle. But he adamantly denied any involvement in the murder. There were reports of high-jacking, shootings and even piracy on the high seas linked to several members of the bootlegging ring but there was nothing to suggest that any of the men had been involved in Earle’s murder. 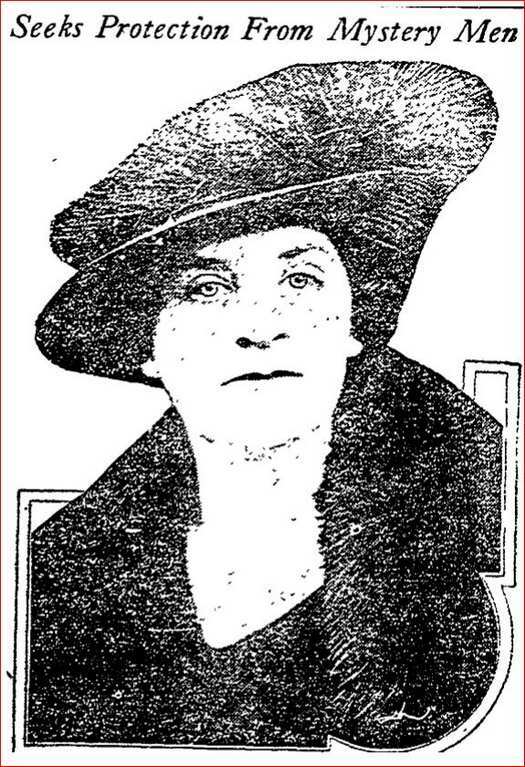 On April 30, 1923, after months of frustration and dead ends, the Los Angeles Times reported that a young woman, who remained nameless in the report, came forward with a story that everyone hoped would resolve the case. Unfortunately, the woman had not approached police with her tale. She had allegedly confessed to local defense attorney S.S. Hahn. Hahn merely played the messenger. He met with Assistant District Attorney Asa Keyes and repeated what he had been told. According to the mystery woman she never got the chance to talk to Earle again. She said she waited in the car for her two men friends to bring Earle to her. She saw Earle drive up and then there was a scuffle. The evening quiet was shattered by two gunshots and the woman’s screams. From the murder scene the woman said she was driven by the killers to her aunt’s home where she lived for the first few weeks following the murder. The woman confessed details of Earle’s murder to her aunt. She didn’t share details of the murder with her friends, but everyone she knew shielded and aided her. But, if S.S. Hahn was to be believed, the woman was so conscience stricken that she was ultimately compelled to seek the attorney’s counsel. The D.A. wasn’t prepared to make the deal and S.S. Hahn refused to name his client if they couldn’t reach an agreement. Two months turned into two years, then twenty. It has now been nearly 95 years since Earle was murdered in the driveway of his home. Yet, there was a brief glimmer of hope when a WWI veteran, Lawrence Aber, confessed. His reason? He said he was angry at Earle for selling liquor to veterans. It didn’t take long for the police to realize that Aber had lied. He wasn’t being malicious, he suffered from severe mental issues and he was in a hospital at the time of the slaying. Despite the dozens of suspects identified early in the investigation, detectives never got the break they needed to catch the killer(s). It is always hard for me to reconcile myself to the fact that someone got away with murder. In this case there were so many suspects it was dizzying. So, I’m curious. Who do you think murdered Earle? Bootleggers? Former business partners? An ex-lover? Feel free to weigh in.